Sometimes with my own babies, I’d pretend to bite their little feet. Now I am the same way with puppies. I wanna squeeze them and soak up all the cute I possibly can. Would you be surprised to know that feeling has a name? Researchers at Yale first studied what happens in people’s brains when they see human babies and/or baby animals. The cuter a baby or animal is, the more intense the cute aggression. It is believed that this feeling is evolutionary. It may have ensured we actually took care of our babies. The cuteness triggers both the reward and emotional system in our brains. Katherine Stavropoulos, Ph.D. is a specialist in the brain’s reward system. She suggests cute aggression may have been a product of evolution that made sure we’d care for our babies. If the cuteness of our babies was so overwhelming that we couldn’t do anything but stare at them, we wouldn’t have cared for them. When we see a baby with big, pretty eyes we have an extremely positive reaction which is actually accompanied by negative emotion. Baby is adorable = positive reaction. Baby is adorable = we want to squeeze it to pieces or eat its toes. Cute aggression is the sum of both those things with the recognition that we would never really eat a baby’s toes. Dr. Stavropoulos suggests about 25% of the population doesn’t experience cute aggression at all. Trust me. I am not in that 25%. Show me a picture of a puppy with big eyes and I’ll show you a crazy lady who wants to squeeze it until its head pops off. I encourage you to read Dr. Stavropoulos’ findings for yourself. It’s incredibly interesting work. Hey FYI, if you’re a mama (or an aunt or a friend, etc.) 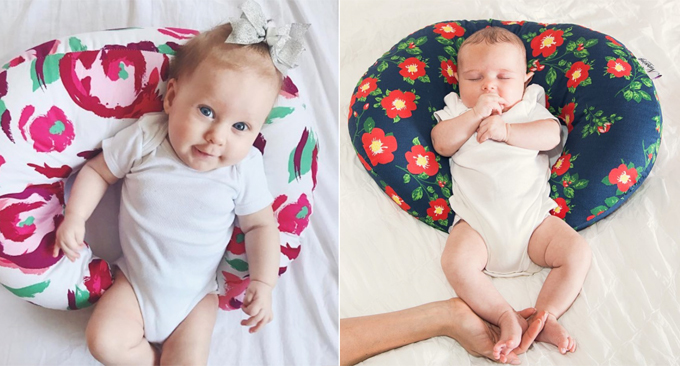 you can get a free nursing pillow (that are for so much more than nursing!) Just use my code 4LOVEMARR! There are 6 other things you can get for free, too. Here’s the full list.